Our Year 9 group has qualified for the world final of Future Problem Solving, to be held in the United States in June next year. 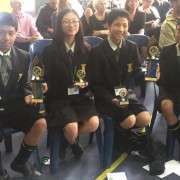 Over the last weekend, Aimee Lew, John Chen, Okesene Fatu and Aaron Lew came second in the national final (middle school section), and with the winning team from Tauranga Boys / Mt Maunganui Colleges, has won an invitation to the international final to be held at Michigan State University. The problem they faced was related to Human Enhancement, focusing on therapeutic enhancements such as artificial limbs. The challenge required them to research the topic, then communicate their understanding in a formal submission, and then do a dramatic presentation of what they had learned. They were the only group to be named a finalist for both their submission, and their presentation. Proud principal Salvatore Gargiulo says the students were completely self-directed, and distinguished themselves from other schools in their approach. "A lot focused on how to ensure individual access to human enhancements. Our students focused on ensuring shared access for everyone." Aimee says they enjoyed learning about the topic, and the ethics of artificial limbs. "We thought about how enhancements blur the lines between human and inhuman. Some people say that technically, you become a cyborg. We also considered - do you actually need the enhancement, or do you want it?" Participating in a number of challenges this year, Aimee says the programme has developed her knowledge of the world and current events, and her skills in working under time pressure. 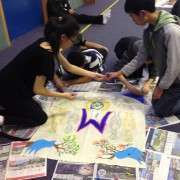 It's also helped all of the students to learn to be self-critical and work together as a team. "At the start we were a bit too sensitive towards each other. But once we learned each other's strengths and weaknesses, we really began to work well as a team." 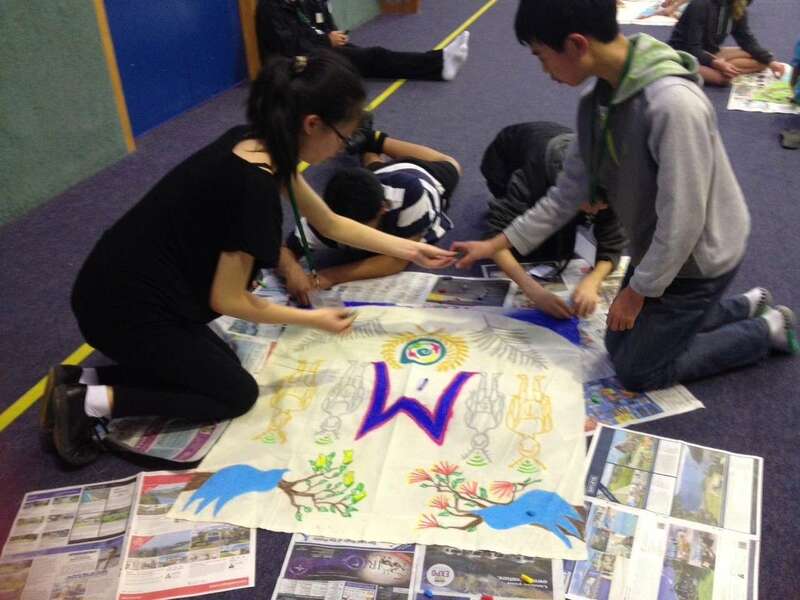 The Future Problem Solving Programme develops critical and creative thinking skills, encourages students to have a vision for the future, and prepares them for leadership roles. 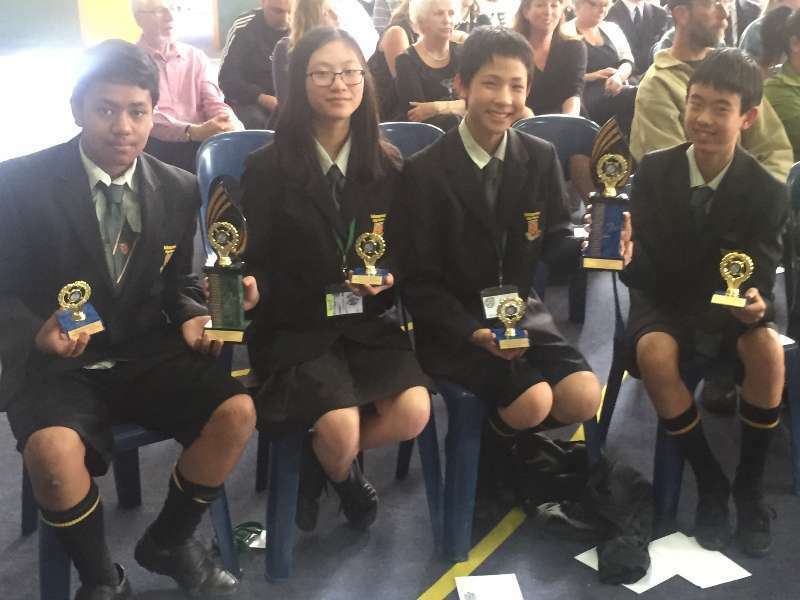 Manurewa High School has become involved for the first time this year and its success is unique for a school without any experience of the programme. Mr Gargiulo credits both the students, and their coach, Glenis Martin, for their achievement.